Last night while at Subway I noticed a sign while ordering that their Cold Cut Combo was temporarily unavailable. Looking into the story today and noticed that the news has picked up the story. Apparently Subway removed the popular sandwich from their menu because their meat supplier notified them of a potential "food safety issue". After further testing there was no safety risk found. The Cold Cut sandwich will be back on the menu within the next week or two. Production was halted on the meat and stock was thrown out after the safety issue was announced. 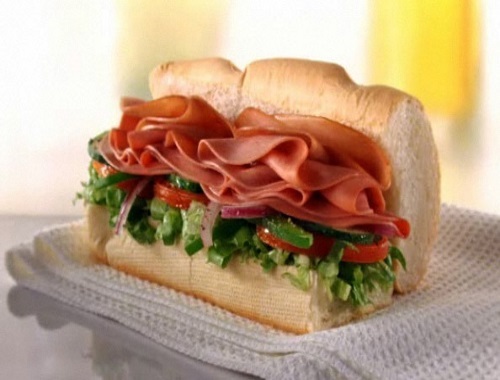 Subway offers the Italian Hero instead at the same price until the Cold Cut Combo comes back. Wondering what the Subway Sub of the Day today is? Click here to read our post.